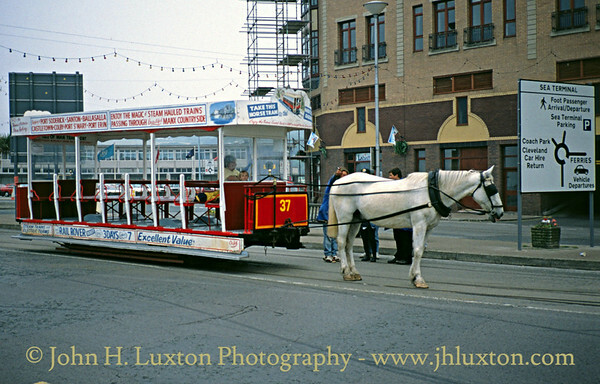 Car 37 has just arrived at the Sea Terminal - the disused Villier's Hotel in the background carries a massive SOLD board and awaits its fate. Now even 21 years much of the Villier's site remains vacant. Almost at the end of the line - approaching the Sea Terminal. Elsie Luxton makes a fuss of the horse at Derby Castle. 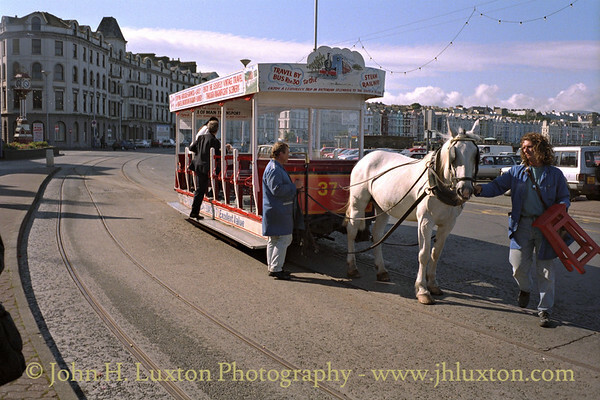 She had just made her first trip on a Douglas Horse Tram since she was a child in the 1930s. 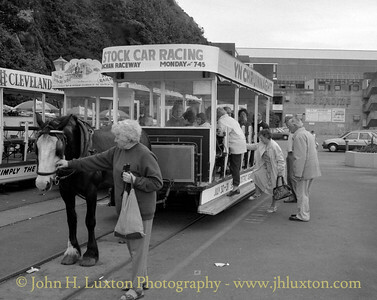 Horse Voirrey ready to return to the Sea Terminal at the end of the line at Derby Castle. 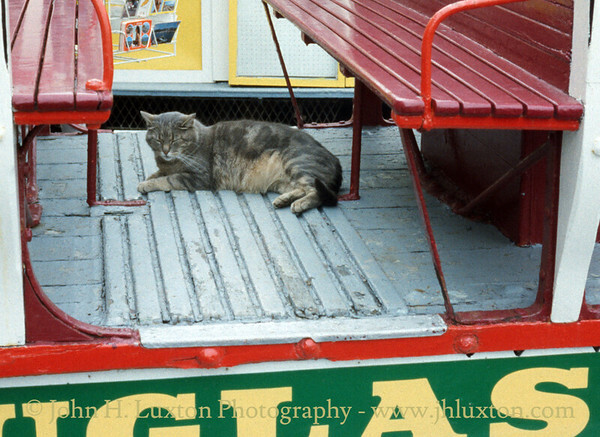 The Derby Castle depot cat takes a nap on a car. Does anyone know his name? 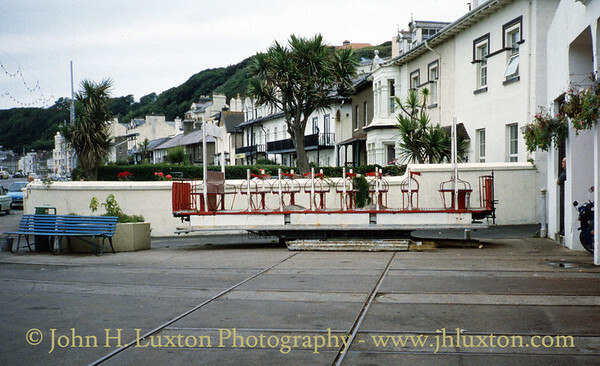 Photographed from a bedroom window in the Sefton Hotel, Upper Douglas Cable Tramway Car makes a rare appearance hauled by a Manx Electric Railway diesel shunting locomotive. 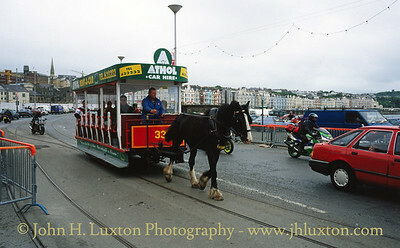 The Cable tramway worked on a similar principal to the famous San Francisco Cable Cars. 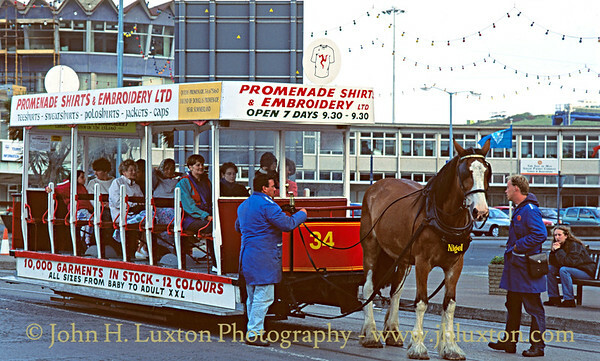 Illuminated Horse Car 43 outside the Villa Marina heading towards Derby Castle. 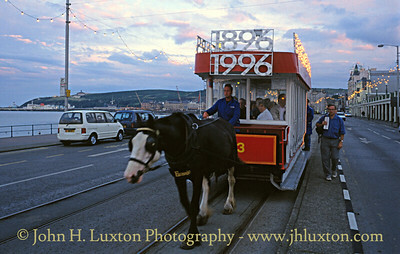 Illuminated Horse Car 43 arrives at Derby Castle. 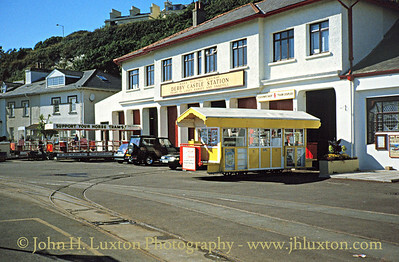 Car 34 with a good load of passengers prepares to depart from Douglas Sea Terminal. 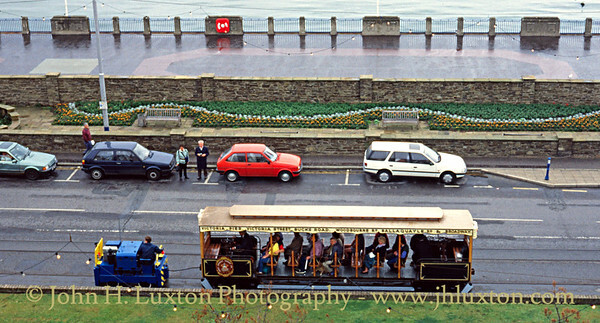 Car 28 heads along the promenade to Derby Castle. 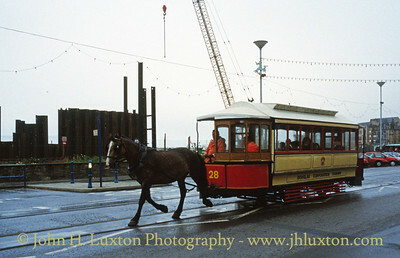 Car 1 approaches the Sea Terminal on a wet day. 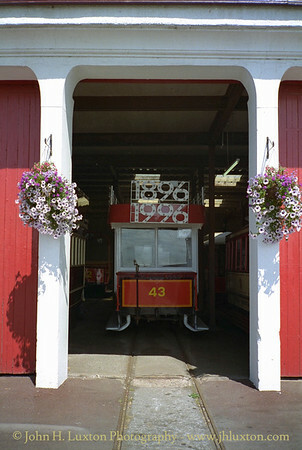 Car 32 approaches the end of the line at Douglas Sea Terminal. 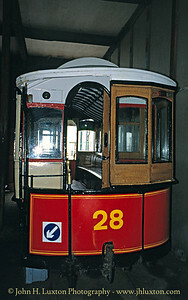 Car 28 in Derby Castle depot. 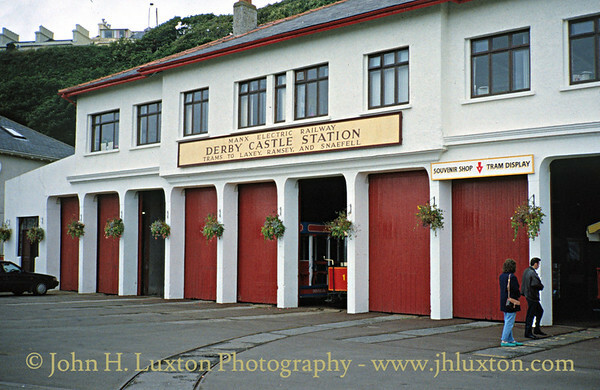 Derby Castle Depot with the tram shop outside. This is no longer a feature of the depot. 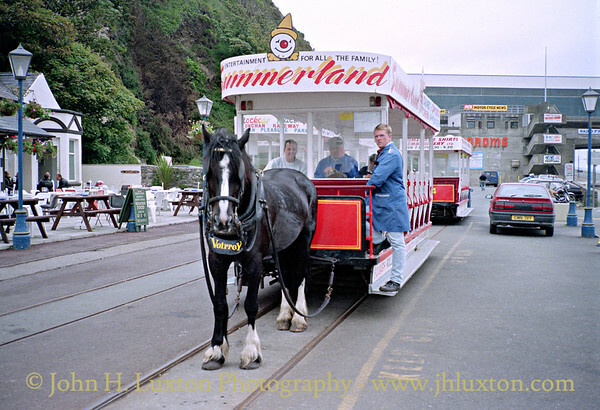 A "trammer" awaits his turn for a trip along the promenade to the Sea Terminal. 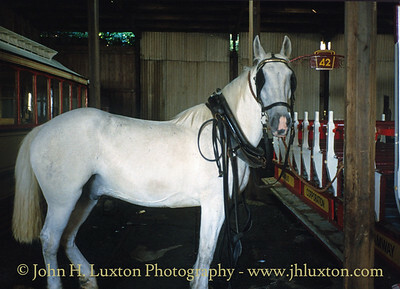 Horses are usually changed outside the stables, it is not usual for them to wait in the depot. 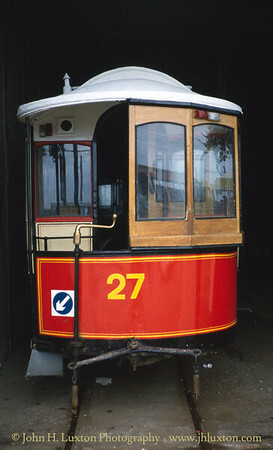 Car 27 in the depot at Derby Castle. 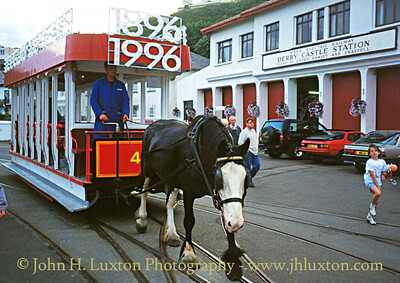 The depot traverser at the Derby Castle. 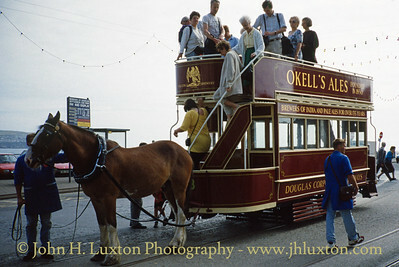 Passengers continue to alight and the horse has been repositioned for the return trip to Derby Castle. 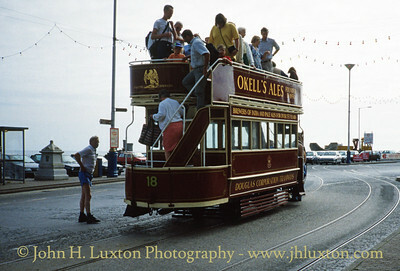 Double deck car 18 discharges passengers at the Sea Terminal. 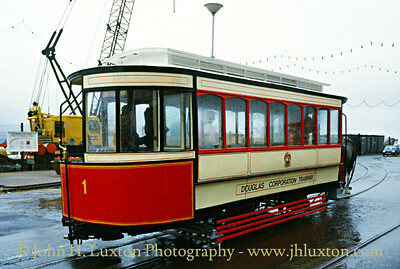 Car 37 at Douglas Sea Terminal preparing to Derby Castle. 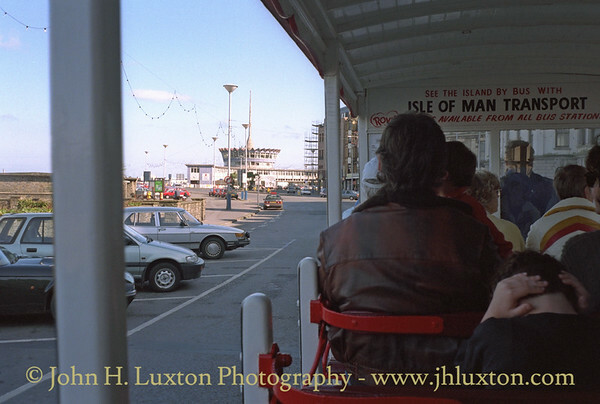 This was the very first photograph I took of Douglas trams I had just undertaken my first sailing to the Isle oF Man on the then newly introduced SEACAT ISLE OF MAN which had entered service a few days earlier.